More players in this year’s mandarin market? Supplies of mandarins out of California are solid though the market is feeling a bit crowded this season. 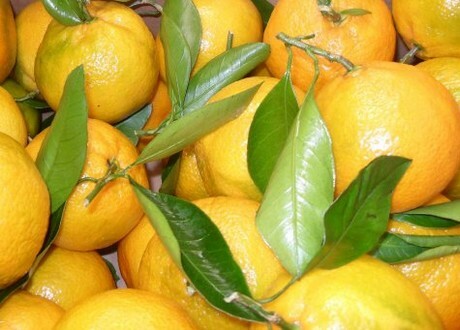 Bidvia-Kragie believes that some growers realized stem-and-leaf citrus is a money-making opportunity, though it does come with its challenges. “You have to move it quickly because the leaves start to look old,” she says. What made for a challenge though when it came to harvesting was rain hitting the region late last week. “It got everybody out of the fields and nobody is going back probably until early this week,” she says. “It’s logistically difficult to get into the fields to pick and doesn’t necessarily affect the quality if you pack correctly because everything gets washed anyways.” She notes that in terms of sizing this year, Western Fresh has plenty of bigger fruit, a size that consumers tend to prefer. Pricing though looks as per usual: for Western Fresh, its extra-large/bigger pack is going for around $20 while its large/smaller is going for about $16. Western Fresh Marketing Services Inc.